When it comes time to move, things can become chaotic. It’s easy to make simple mistakes that end up making life much harder down the road. Let’s take a look at a few common mistakes to avoid while moving. It’s important to label boxes both on the top and the sides so you can easily identify the contents. Label the box with the room the box should go back to and what the content is. When others are helping you move or unpack, labeling will help them take charge and unpacking will go much faster. Organize items into a box rather than throwing items randomly into a box. 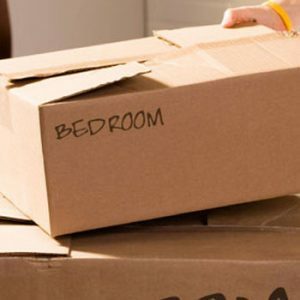 Organizing may take a bit more time up front, but it will make the unpacking process much easier down the road. It’s tempting to stack boxes as high as you can in your storage unit. While boxes are strong, they are also rated to very specific weight tolerances. Ensure if you do stack to keep the heavy boxes on the bottom and not to stack too many heavy boxes on each other. Using sturdy boxes that are the same size work best when stacking. If you live in a humid climate it’s possible that items could become damaged over time. Look for a storage facility that is climate controlled for storing items that could be damaged by heat or moisture. Visit your storage unit at least once per month and check your belongings for any climate induced damage. Periodic spot checks will help identify any issues before they become major problems. Shop around for the best storage facility when it comes time to store your belongings. Be sure to evaluate security, availability, pricing, and past customer experiences. The manager should be friendly and offer to show you the storage unit before making your purchase.